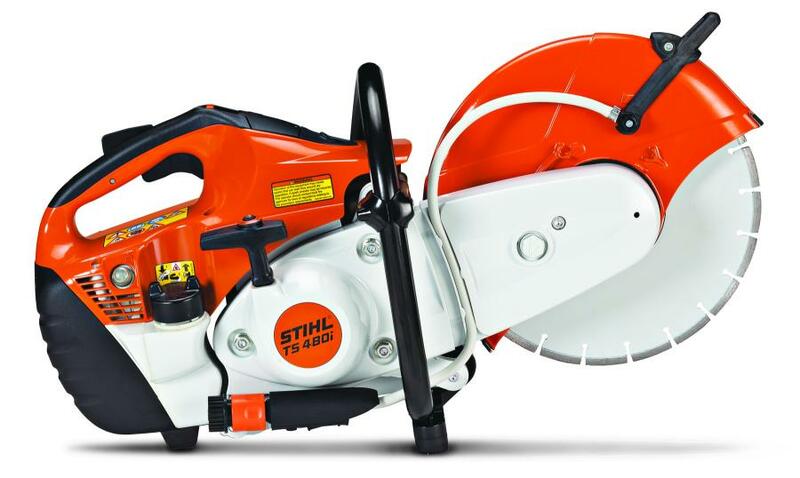 The TS 480i features an electronically controlled fuel-injection system to deliver 17 percent more power and 15 percent greater cutting speed, as compared to the STIHL TS 410, while offering the convenience of electronic water control as standard. The TS 480i STIHL Cutquik cut-off machine gives professionals the ideal 12-in. (30.5 cm) companion for construction and demolition operations. The TS 480i features an electronically controlled fuel-injection system to deliver 17 percent more power and 15 percent greater cutting speed, as compared to the STIHL TS 410, while offering the convenience of electronic water control as standard. STIHL takes the guesswork out of your next job with the STIHL computer-controlled fuel injection system, which continuously and precisely determines fuel mixture and ignition timing for optimal performance. The standard electronic water control feature allows for easy and efficient water flow adjustment while cutting, storing the last-use setting information that was used; and water flow automatically stops at idle speed and starts again when the throttle is engaged. Whether the day calls for trimming metal pipes down to size, or cutting curbs and expansion joints, this well-rounded performer with low exhaust emissions offers high torque and unparalleled responsiveness throughout the RPM range. The simplified starting procedure eliminates the need for a choke — just purge it and pull it. The X2 air filtration system is virtually maintenance-free and maintains a 99.96 percent cleaning efficiency, according to the manufacturer. For more information, visit http://www.stihlusa.com/products/cut-off-machines/professional-cut-off-machines/.